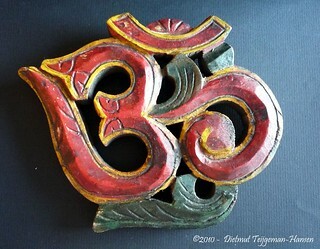 “Aum Shanti”. Today it’s about a book read a long time back; Paramahansa Yogananda‘s “Autobiography of A Yogi“. Published in 1946; this book is a fascinating insight into the world that was; pre-independence. The world of the spirit is as surreal, esoteric and mysterious as science fiction or reality; so we can safely assume that there is a lot to be explained. Atleast I have; don’t know about whoever’s reading. What I remember about this book is Lahiri Mahasaya and a world beyond our own; the world of astral projections. The book begins with Yogananda’s childhood family life; in Gorakhpur; part of the modern Indian state of Uttar Pradesh; formerly the United Provinces. Yogananda’s search for a Guru leads him to Yukteshwar Giri; who is a disciple in turn of Lahiri Mahasaya, another Bengali from Varanasi.(Benares). Contrast this with the Anglicized Aurobindo; who was trained by a teacher from Maharashtra. The formation of Yogoda Satsanga society of India; with its HQ in Dakshineshwar and the Self-Realization Fellowship internationally; along with Paramahansa Yogananda’s meetings with Tagore, C.V Raman, Therese Neumann and Giri Bala are discussed. The book is dedicated to the botanist Luther Burbank who created many new species of plants and fruits. 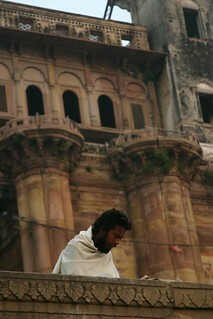 Yoga; an ancient tradition in India is now famous globally. But; it was definitely not that present globally in a time when evangelical Christianity had created a world of puritanical exploitative empires. The intelligence and wisdom of these teachers should be recognized for keeping us aware of our ancient heritage. It is always fascinating to know how Bharat has been endowed with so many spiritual seers and masters; yet has some of the most materialistic people on the planet. Probably the definitions of these terms are skewed; and true spiritual health comes with a certain degree of material wellbeing. Apart from the book’s influence on artists and thinkers; it has attracted adverse criticism from predictably an Indian-origin commentator; Srinivasa Aramudan who describes the contents as “miracle-infested territory”; an eclectic directory of sorts; that may be termed as hitchhiker’s guide to the paranormal galaxy.” Personal opinions do differ; but I always find it amusing to note that whenever something has been universally acclaimed by leading geeks and artists; it is always a spiteful native who wants to put a spoke in the wheel. My opinion; when I read this book for the first time a long time back; it was indeed fascinating. Nearly every religion in the world is a combination of the unbelievable and the normal; playing on human emotions. As somebody put it; “the opiate of the masses”. Human beings are a frail; self-serving enterprise; so no harm in another interesting spiritual book in the canon. All for today!